AccuBar has a long track record of helping hospitality operations track their liquor, beer and wine inventory more quickly and effectively. Our philosophy is that it is crucial to have a thorough inventory management process in place to control costs and run a profitable operation, but too many operations skip this step because it is so tedious and labor-intensive. The result is invariably higher costs, theft, overpouring and a list of other abuses that are all too common. AccuBar has a better way. We have taken tried and true beverage management methods and automated them, using fast, sturdy barcode scanners to save labor, eliminate error points and drive loss prevention and accountability. The typical result is a more efficient operation, lower costs and higher profitability. Our system has been used across the board in the industry, from small bars and nightclubs to the largest resorts, hotels and country clubs. 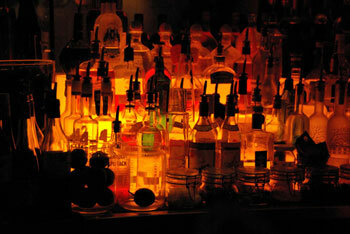 In short, if you are struggling to manage your bar operation more effectively, AccuBar is a proven solution. AccuBar’s mobile app also enables you to scan from a smartphone or tablet, giving you unparalleled flexibility in how you configure the system. Contact our sales team so we can help you figure out the best setup for your operation and your budget. AccuBar was designed from top to bottom with the goal of making the beverage inventory process faster and less labor-intensive. The use of barcode scanners, such as those used by AccuBar, has saved other industries countless labor hours, but the hospitality industry has been slow to take advantage of this proven technology. Reports delivered in minutes: No more keyboarding in counts after an inventory. AccuBar delivers an Excel spreadsheet by email within minutes after every step of the process. Automatic perpetual inventory: AccuBar calculates your perpetual for you by factoring in receiving, empties, transfers and even POS sales. Orders created in seconds: Assign a par level and supplier to each item, and AccuBar will tell you what to reorder with a few clicks. Wine list management simplified: AccuBar can produce your printed wine list in your custom format, including only items that are in stock. Inventory losses in the hospitality industry, for liquor, wine and beer in particular, are an enormous drain on revenues that many write off as a cost of doing business. According to industry studies, losses in an average bar operation are around 25%, so essentially one out of every four drinks never gets sold. All too often, shoddy inventory practices are a main reason for these abuses going unchecked. Without consistent, thorough, accurate inventories, it can be impossible to pinpoint problem areas or maintain even minimal staff accountability. No more. AccuBar gives you the information you need to keep your costs in check, which can be a key to survival in a tough industry. With a few clicks, you’ll see variances and beverage costs for the inventory period, enabling you to track down how those losses occurred. You can also do spot-checks on your staff members to ensure they’re meeting performance standards. You can even take daily inventories on your highest-volume items to quickly expose any losses. AccuBar’s reports offer many other tools for controlling costs. The system will reveal slow-moving stock items, overstocking, and other metrics, along with the ever-important beverage cost percentage calculations. Beverage cost percentage: This key stat compares your sales against consumption to tell you how much of your profit is escaping. Variances: If a bottle of your stock comes up missing, you will know it. Overstocking: Two different reports that compare what you should be ordering against what you’re actually ordering. This report has helped many AccuBar users reduce their stock levels significantly. Slow movers: AccuBar will show you which inventory items aren’t moving. Events: If you do events or banquets, this report will detail consumption, expected sales and other data. AccuBar’s reports are available in Excel format, delivered by email to whomever you choose, and are also viewable online through your website login. You’ll receive detailed, informative reports via emails within minutes. You can now run AccuBar on a smartphone or tablet. The app uses the phone’s camera to scan the barcode on a bottle, then displays the bottle’s shape — just like the regular AccuBar app. The app will also connect to an affordable Bluetooth scanner for faster scanning. 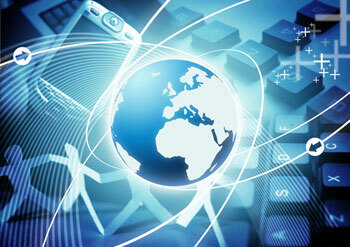 AccuBar customers will have more flexibility in deciding how to use the system. Intermec scanner — Our fast, rugged scanners are still a great option for those who have large inventories or who do inventory frequently. Phones/tablets only — A more affordable option for those willing to sacrifice a little speed. Bluetooth scanner — Connect this handheld device to your phone or tablet app to speed up scanning. This approach will occupy two hands, so it’s perfect if you do inventory with teams of two. Mix and match — You can combine any of the above options. So you might equip your managers with phone apps along with having an Intermec scanner on inventory day, for instance. AccuBar is designed to be a comprehensive beverage inventory management system, but our users have taken it well beyond the bar. Our customers have used AccuBar to inventory food, tobacco products, promotional products such as t-shirts, glassware, and any number of other items. Any item that has a barcode on the label can be easily added to your item list, and if something doesn’t have a barcode, AccuBar can create one for it. The system is very adaptable to your specific situation. AccuBar is designed to be easily interfaceable with other POS and accounting systems, and we have successfully interfaced with the systems below. If you would like us to interface with a system that isn’t on the list, contact us at sales@accubar.com or (800) 806-3922. AccuBar keeps a perpetual inventory for you that automatically factors in any receiving, empties and transfers you scan, along with sales recorded by your POS. Our ordering function then compares your current perpetual quantities with par levels you’ve entered, and generates a recommended order. You can get an order recommendation by category, such as beer or wine, or by supplier. 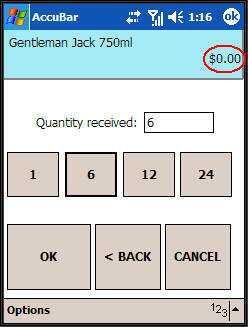 You can also set reorder quantities, so you’re sure to take advantage of case prices, for instance. Just adjust any quantities as you see fit, then print off your order and send it to your supplier. AccuBar also simplifies receiving once that order comes in. 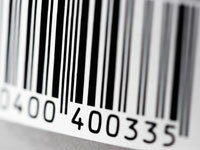 You can scan the barcode on a case or on a single item to receive your order and update your perpetual. AccuBar also makes it easy to update unit costs as you receive your order, and the system will also alert you to any differences between what you ordered and what you received. Time and again at AccuBar, we hear that banquet tracking is a black hole in the industry. The frenzied nature of the average banquet operation makes accountability rare and abuses common. Banquet operations are also a good place to use our smartphone/tablet app. Your banquet manager could use the app to do quick starting and ending inventories/transfers without needing a full barcode scanner for each banquet space. Wine inventory management is a difficult problem for those with large cellars and wine lists, so much so that many in the industry opt to just skip it. But the absence of a thorough wine inventory process can result in horrific losses; stories of variances in the thousands of dollars aren’t uncommon in the industry. AccuBar does a lot to make that process faster and easier. Scanning barcodes on the bottles eliminates many errors in deciphering hard-to-read labels, and for those wines without barcodes, you can create your own and print it on label stock, neck tags or inventory sheets. We can also make it far easier to keep a perpetual inventory of your wine, by interfacing to your POS so sales of bottles and glasses are subtracted from the running total. For each wine in your inventory, you will be able to enter info such as vintage, appellation, ratings, tasting notes and other details. Then you will be able to publish that info to a printed wine list that we can help you design to your specifications. With a few clicks, your wine list is populated, showing only what you have in stock. And when you’re ready to really revolutionize your wine service, we can put your wine list on iPads or tablets. For more info on that, go to www.iwinelists.com. © 2019 AccuBar. All rights reserved.